Congratulations to all of the winners at the New England Grange Needlework Contest held at the Eastern States Exposition (The Big E) in West Springfield, MA in September. Special thanks go to all of the members and friends of the Grange who donated so many wonderful items for the Country Store at the New England Grange Building and for the many members who gave time to man the store or to help support the NE Grange in any way. The funds raised during the Eastern States Exposition go toward the ongoing maintenance of this beautiful building. The New England Grange Building is unique in that it is the only Grange building that is continuously maintained by a group of State Granges. 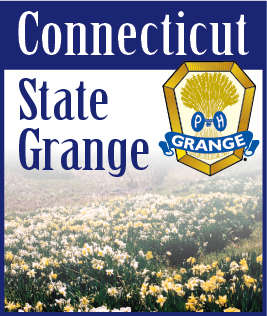 In this case the State Granges of Connecticut, Massachusetts, Rhode Island, New Hampshire, Vermont and Maine work together to staff it during the 17 days of the fair and work together to ensure its continued presence on the expo. grounds for future generations.